Beautiful, loosely related stories of three sisters coming of age in the violence of post-independence Uganda and making different choices. 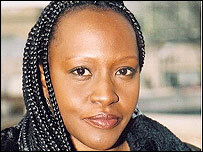 Doreen Baingana was herself born and raised in Uganda in the years after independence. The horrors of those years provide the background for the stories she tells. In the introduction to her book, she explains that her stories are “possibilities, instances and imagings.” She does not seek to present representative women of Uganda or Africa or tell her own autobiographical story. Rather, I used some of my experiences and observations as clay, added all kinds of water and paint, shaped and molded this into various pots: these stories. . . . The stories are linked, like sisters, forming a family that is stronger than its individual parts. The majority of the stories center on the youngest daughter, Christine. Baingana tells of her childhood, watching her mother trying to keep her father from slipping into alcoholism and her adolescence with unrealistic hopes about a boy who kissed her. “Tropical Fish” is about Christine’s college years when she drifted into an affair with a wealthy, undemanding white man who sold tropical fish. He and his home offered her an escape from the pressures of her ordinary life. In his luxurious house, she could glory in little things, like the abundance of water came from the tap rather than having to be carried home in a bucket. She hadn’t wanted the man himself, but just “a few hours free from myself.” Later she went to the United States to work and stayed eight years although she felt herself a “cardboard copy” of herself. She didn’t know who she was apart from her family, her school and her tribe. Returning to Uganda, her sense of unreality continued. Although nationally some stability and security had been achieved, everything had changed. She questioned what it means to come home when home itself had no permanence. Christine could accept this fluidity as she now accepted the night creeping over her, this blanket of warm dusk. And not just because it was inevitable, but because it was different every night: a performance, an adventure. She would have to learn all over again how to live in this place called home. Baingana’s account of the middle sister focuses on her at boarding school where she experienced deep hunger; literally not getting enough to eat and symbolically turning to a rigid Christianity to address her hunger for meaning. Only one of the stories featured Rosa, the oldest sister, but for me it was the high point of the book. For a time she had lived a life of privilege and excitement, but now she is dying of AIDS. She writes a letter to the man who had given her the disease. In it she contrasts what their lives had been like with what they were facing now. We were at Makerere University; we were the cream of the crop. We had dodged the bullets of Amin, Oboto, all the coups, the economic war, exile and return, and here we were on the road to success. We were the lucky ones; the chosen few. Part of their privilege was their sexual freedom. We were young, beautiful, careless, open, giving. We never talked about the games we played, overwhelmed by the fact of our bodies, of desire, of willing flesh, so available, so sweet, so easy. We could do what we wanted and we did. These were our bodies. After the tyranny of boarding school, religious rules, and overbearing parents, we were free! We had such a lovely gift, how could we not use it. Why should we regret it not? For me, Rosa’s letter was the most poignant writing I have read about AIDS, and more generally the loss of hope and identity. 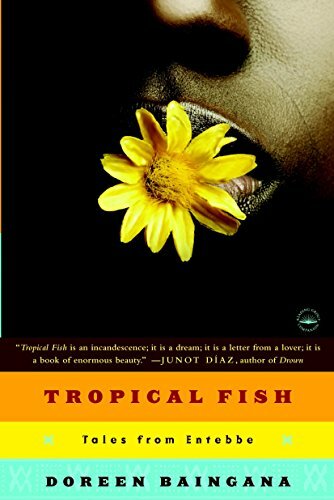 I strongly recommend Tropical Fish to readers interested in post-independence Africa and in how people grow and change as they make different choices. ← Letters to the End of Love, by Yvette Walker. One peculiar book, good read though. read my review of it? I don’t think so. I’ll go check it out. Thanks.